A ‘Dear Life’ submitted and published in The Cord two weeks ago about an alleged “assailant” on Foot Patrol has raised plenty of discussion—but led to no answers—for Wilfrid Laurier University’s student services. While Special Constable Services (SCS), the Wilfrid Laurier University Students’ Union and the dean of students’ office have acknowledged the ‘Dear Life’ and investigated the claim, they have not uncovered any information or reports to substantiate it. The anonymous nature of the submission process means that contacting the student for more information has not been possible. “It’s difficult, because with this situation, we’ve tried to react with it in a way that would be on more of the, I guess, severe side, although because there is no tangible proof or evidence of what actually was submitted, it’s been very difficult for us to take more of those tangible steps,” said Students’ Union president and CEO Annie Constantinescu. 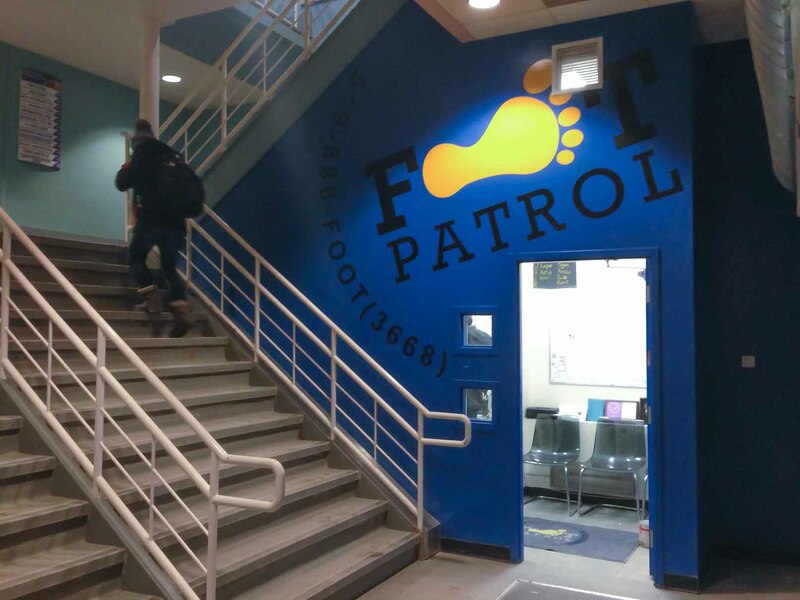 Constantinescu put out a press release on Feb. 14 addressing the ‘Dear Life’ publication and encourages anyone with concerns about Foot Patrol to talk to her or the dean of students’ office. Meetings were set up within the Students’ Union management team and the issue was addressed at the Feb. 13 board of directors meeting. Laura Curk, VP: programming and services for WLUSU, also set up a meeting with Foot Patrol executives to determine a course of action. “Internally, making sure that the volunteers are okay, because obviously when something like that gets posted, it makes volunteers a little nervous and uncomfortable to shift,” said Curk on the nature of the discussions. Curk said that trying to find a way to reach out to the individual was also a priority. With consideration to the ‘Dear Life’ submission, the Students’ Union intends to review its policies on hiring and training volunteers, with more information provided on sexual assault. Currently, volunteer positions on campus do not require a police records check. Foot Patrol volunteers receive diversity training and on how to use the radios given to them on their shifts. One rumour that has surfaced since the ‘Dear Life’ was published was that the submission may have been part of an internal game being played by Foot Patrol staff and volunteers, a ‘catch me if you can’ activity similar to the one organized by the A-Team. Curk said that it was brought to her attention as a possibility, but that no one has come forward to validate the idea. “The more that we looked at it and considered it, we decided that we couldn’t just brush it under the rug as something as simple as that and that if it was someone on the service, all of the volunteers have been asked to let us know if that’s what it had to do with,“ she said. After publication, The Cord also received a second ‘Dear Life’ submission through email from a student stating that their “stalker” is on Foot Patrol and that they thought they were alone in their circumstances. In a follow-up email to The Cord, the student wrote that they did not submit the original ‘Dear Life’ and provided additional context for their statement. The person, who chose to remain anonymous, said they wanted to reach out to the other student to let them know that they weren’t alone in their circumstance. The Cord asked for an interview, but the individual did not feel comfortable commenting in person or over the phone. “When it happened to me, I hadn’t heard anything of the sort about Foot Patrol and it seemed like it was just me against a whole organization. Honestly, my first reaction to reading the original Dear Life was ‘I’m not the only one’ and I think that sort of feeling is important to share,” the student wrote. The individual also raised the “fairly lax screening procedures” of Foot Patrol as a concern, stating that their stalker was able to continue their employment in spite of the issue being raised with Special Constable Services (SCS) and the dean of students. The individual said that their experience has resulted in fewer female students using the service. SCS and the dean of students did not have data that confirmed the statements made in either of the ‘Dear Life’ submissions. “There have, over the years, been students who happened to volunteer on Foot Patrol who do get themselves into a little bit of trouble on other fronts, but nothing in the last little while,” said Kevin Crowley, acting assistant vice-president: communications, public affairs and marketing at Laurier. “We do take these things seriously, but without a bit more concrete details, it’s a bit hard to do much more with them other than ask the questions that we’ve asked,” he added. Leanne Holland Brown, dean of students on the Waterloo campus, affirmed that it is difficult to respond to the anonymous claims without further information, although she has been involved in conversations with the Students’ Union since the publication of the initial Dear Life. “I would think that if students have legitimate concerns about their safety or even concern for other students that they would find a conduit for those concerns that would allow a mechanism for response,” said Holland Brown.